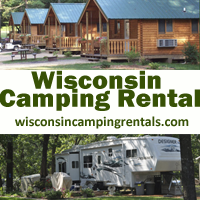 The Wisconsin Association of Campground Owners (WACO) honors Veterans, EMT’s Firefighters & Police Officers on Armed Forces Day during their Heroes Weekend, May 18th-21st, 2019. The following are WACO campgrounds that supply deals, promotions, and offers for Veterans, EMT’s Firefighters & Police Officers. Please follow up with the individual campground for further details and reservations. Annie's Campground Annie's Campground offers free camping to military, fire and rescue, police for Armed Forces Day Weekend. We offer 10% military discount all the time. Buffalo Lake Camping Resort Free Friday and Saturday night camping for all soldiers and veterans as well as to EMT's, Firefighters and Police Officers. A Thank You from BLCR to America's Finest. American Legion Color Guard presentation. Plan on attending the Saturday evening Pot Luck Celebration for all. Reservation must be made by calling 608-297-2915. 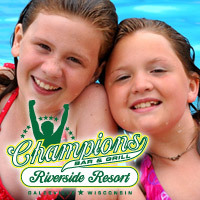 Champions Riverside Resort Free camping to military, fire and rescue, and police for Armed Forces Day Weekend. Events include Touch A Truck, CPR training and much more! Crazy Horse Campground Free camp site for military and first responders. Grand Valley Campground Veterans, current EMT's, Firefighter and Police Officers camp free May 17 & 18 with ID present at check-in. Green Acres Family Campground, LLC Free Camping to Active or Inactive Military with I.D. Maple View Campsites Free camping with Military ID. Veterans & Active members. Milton KOA As a thank you to the men & women in the Armed Forces. Please be our honored guests for the weekend and camp FREE. This applies to active or retired military. Please show your military ID at check-in. Oasis Campground & Waterpark Free camping weekend for vets, military, EMTS, firefighters, police. O'Neil Creek Campground May 17th-19th: SUPER Hero Weekend Celebrate ALL Heroes (Armed Forces Day May 19th) Dress up as your favorite Super Hero. We will honor our Armed Forces, Firefighter's and Police Departments, all Emergency/Volunteer Personnel, Teachers and Medical Profession (Licensed Doctors, Dentists and Nurses etc). Show your Super Hero I.D. and receive 50% off this weekend stay of 2 consecutive nights on W/E sites only. Excludes rentals. Each site must occupy the registered Super Hero. ALL registered camping OCC Super Hero's will receive a free ice cream cone with Super Hero I.D. Thank you for your service! Come say "Thanks" to our local Eagle Point Volunteer Fire Department? and check out their Fire Trucks and equipment. Costume Contest! Dress up as your favorite hero! Pride of America Camping Resort Free camping to anyone with military ID. River's Edge Campground Rivers Edge Salutes all the heros with free camping for active and inactive service men, police officers, Fire and rescue, EMTs, etc. Make your reservations quick we will fill fast! The Dewey Fire Department will be visiting us Saturday from 12-2! Dress as your favorite super hero on Saturday! Silver Springs Campground, LLC Free weekend of camping. Campsites only. Max of two free nights. Sky High Camping Resort Military Families Camp for Free! Stoney Creek RV Resort Help us celebrate all of our heroes: military, police, firefighters, EMTs, and more! Games & activities like BINGO, Foam Fun, Scavenger Hunts, and our Safety Day with local Firefighters, Police & EMTs Special All sites are Buy Friday night, get Saturday night FREE! Terrace View Campsites Free camping for MILITARY families that come to the Northwoods. Must have proof of service, current or retired. Weather permitting. Please call ahead. Treeland Farm RV Park 50% off for Active Military, Reservists, Retired Military, Firemen, Emergency Medical Personnel and Law Enforcement (RV sites-not available on cabin rentals). Join us on Saturday for a Heroes Picnic on us! Wilderness Campground Free camping for all veterans and active-duty military along with their immediate family. Candlelight service honoring all veterans and active-duty.